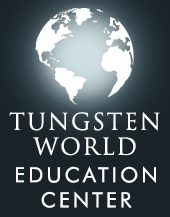 Tungsten World rewards employees for their summer-long commitment to top quality service and sales of Tungsten wedding bands and Tungsten rings. Riding the wave of strong summer sales, TungstenWorld.com is rewarding the hard work of their employees with a company trip this fall. Sales of tungsten wedding bands and tungsten rings have been stellar through summer, traditionally wedding-heavy months, with everyone on the Tungsten World staff exceeding all expectations. A front-runner in the Tungsten carbide industry, Tungsten World retails the highest quality tungsten carbide wedding bands from the Tungsten Forever brand, along with many women’s tungsten rings and casual styles. Priding themselves on providing the highest quality service possible, employees at Tungsten World play a big part of the company’s success. After a summer of increased men’s tungsten wedding bands sales, Tungsten World owner Stephen McKenna is rewarding his staff for all their hard work. Mckenna is treating all employees of the company to a day on the high seas, with an all expenses paid deep sea fishing trip. The trip will give employees a chance at a one-of-a-kind experience and the opportunity to recharge ahead of the fall wedding season. It’s the camaraderie shared on trips like these that has kept the tight-knit company consistently tops for providing customer service on all Tungsten wedding band sales and enquiries. And with the ever growing amounts of men’s Tungsten wedding rings being sold by Tungsten World, it looks like even more trips will be in their future as Tungsten continues to grow in popularity.